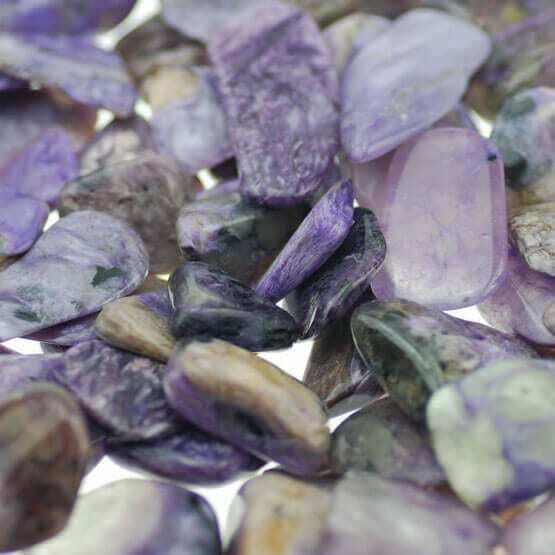 Charoite 8.9 grams - Buy Crystals Now at Happy Glastonbury! Most of the available Charoite comes from Russia and is the tiny druse on a host mineral with a colour range from purple to purple/pink. Charoite talks to you. It can have whole conversations with you if you let it. Imagine talking to a long lost family member who you loved dearly, or to a supreme being from the heavenly realm. That’s what it feels like. 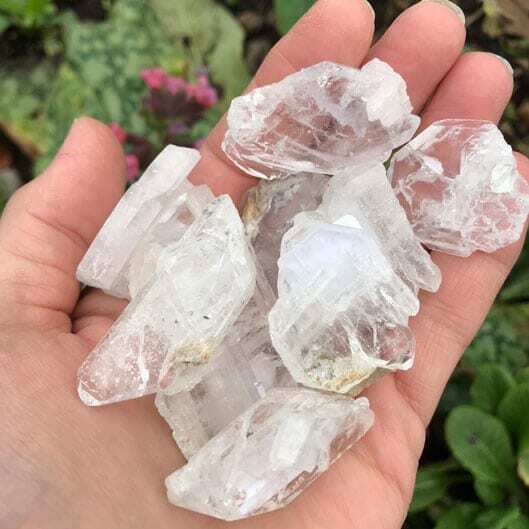 For those wishing to learn about communication and wanting to awaken or further their psychic abilities, this mineral has lots to offer. Often worn as jewellery, this mineral works well with turquoise which brings in the protection needed when travelling the astral realms. Healers use this mineral to clear the aura before a healing takes place. It is a wonderful stone for allowing transformation. Gentler then Moldavite, it aids the passage through change and helps shed the patterns of conditioning.